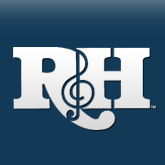 Record labels continue to celebrate Richard Rodgers well into the Centennial year. 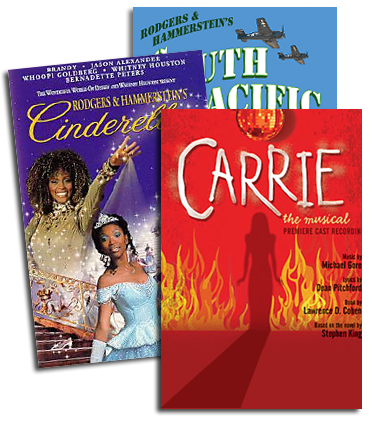 Major new soundtrack and cast album reissues this fall include the long-awaited CD edition of the soundtrack from FLOWER DRUM SONG, with new liner notes by David Henry Hwang (Decca Broadway)...The 1958 London stage premiere of CINDERELLA starring Tommy Steele (Bayview)... The 1963 London cast of THE BOYS FROM SYRACUSE (Decca Broadway)...The 1964 studio cast of OKLAHOMA! (Sony), starring John Raitt, Florence Henderson and Phyllis Newman... The 1985 studio cast of I REMEMBER MAMA (Jay)...The 1983 Tony winning ON YOUR TOES (Jay)...The 1981 studio cast of DEAREST ENEMY (Bayview), and a studio cast featuring songs from the 1934 Rodgers & Hart film rarity, HOLLYWOOD PARTY (Bayview)... Rodgers, Hart and Hammerstein are featured in the survey recording, BROADWAY MUSICALS OF 1943 (Bayview), with selections from OKLAHOMA! and A CONNECTICUT YANKEE. Special Centennial reissues also include RODGERS & HAMMERSTEIN: THE COMPLETE OVERTURES, featuring John Mauceri and the Hollywood Bowl Orchestra (Decca). ..NO STRINGS WITH STRINGS, featuring Ralph Burns and His Orchestra in a fascinating 1962 concept album (DRG)...and THE SUPREMES SING RODGERS & HART (Motown), a supreme collection that complements the original 1967, one-disc, now -classic LP recording with over a dozen more tracks from the LP sessions (including several previously unreleased). New albums timed to honor Rodgers in 2002 (and currently available) include: BERNADETTE PETERS LOVES RODGERS & HAMMERSTEIN (Angel)...MY FAVORITE THINGS: A RICHARD RODGERS CELEBRATION (RCA Victor), featuring Keith Lockhart and the Boston Pops...IN LOVE AGAIN, jazz vocalist Stacey Kents all-Rodgers set (Candid Records)...HAPPY TALK (TLM Records) featuring British singer Sally Burgess...WALL TO WALL RICHARD RODGERS (Fynsworthy Alley), with musical highlights from a twelve-hour marathon concert held earlier this year (see previous issue)... THE RICHARD RODGERS CENTENNIAL JAZZ ALBUM (BC/EFA), featuring six eminent jazz pianists including album producer Fred Hersch...THE MUSICALITY OF RODGERS & HAMMERSTEIN (Jay), which combines existing tracks with new covers from such artists as Brent Barrett, Debbie Gravitte, Judy Blazer, Ron Raines and Susan Egan...and A RICHARD RODGERS CENTENNIAL CELEBRATION (DRG), culled from the archives with an eclectic cavalcade of stars including Elaine Stritch, Shirley Bassey, Eartha Kitt and Barbara Cook. ELAINE STRITCH: AT LIBERTY (DRG) features the Tony winner performing ""Theres No Business Like Show Business"", ""Can You Use Any Money Today? "", ""Zip"", and an unforgettable rendition of Rodgers ""Something Good""...BEA ARTHUR ON BROADWAY (DRG) includes ""Lets Face the Music and Dance"" and a haunting sequence from THREEPENNY OPERA...On the album of her one-woman show INSIDE THE MUSIC (Varese), Donna McKechnie features ""Cockeyed Optimist"", and ""Ten Cents a Dance""...""Boys and Girls Like You and Me"", cut from OKLAHOMA!, is the title track of Sally Mayes new album of love songs cut from Broadway shows (Bayview)...and three-time Tony winner Audra McDonald D5s new album, HAPPY SONGS (Nonesuch), features Rodgers & Harts ""I Wish I Were In Love Again"" and Irving Berlins ""Supper Time"".